Paintball in recent times has become a recreational sport for professionals. They are no longer just played by the teenagers for fun. The paintball shot at you comes at a very fast pace and hits you which hurts really bad and the pain lingers on. But you need not get pelted every time with those hard compact balls of paint. The most important instrument to play this game is the paintball gun which needs quite a sum of investment. Your decision on which gun to buy depends on your playing techniques. 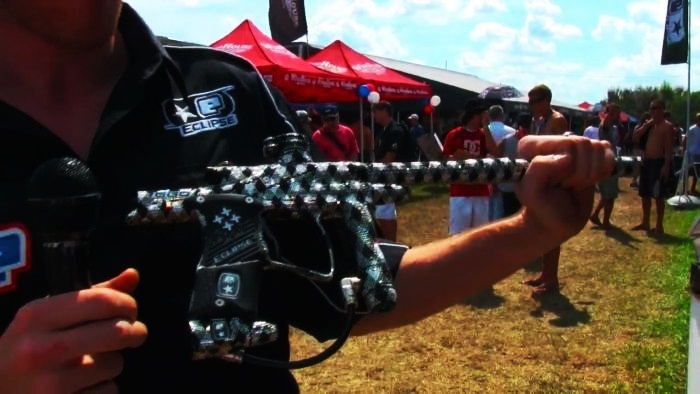 Following are the most expensive paintball guns in the world. 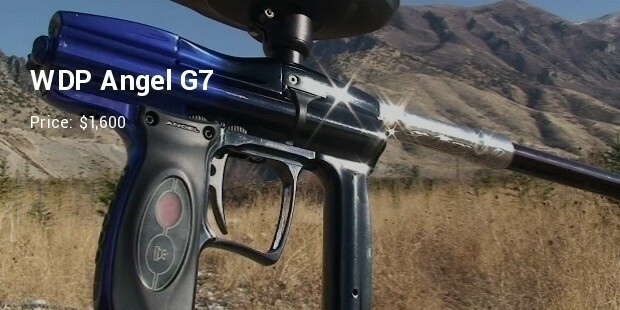 This paintball gun has crystals all over it. 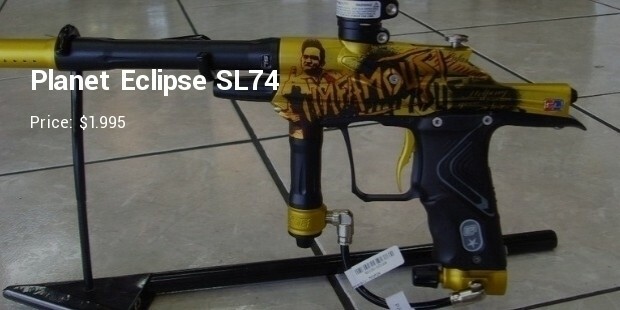 It is actually a derivation from the typical Eclipse Ego 09, but this gun is decorated with Swarovski crystals each of which were stuck by hand. There is no other diversion from the conventional type, except it outer shine. It is an imitation made by Real action Paintball. 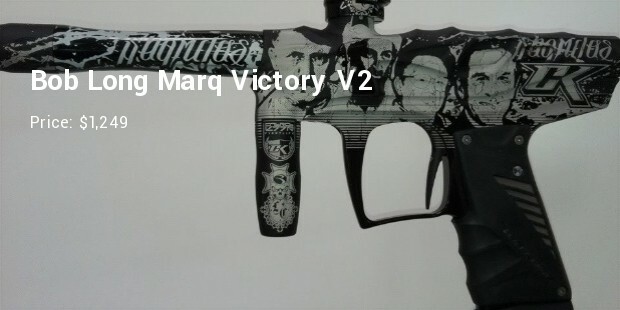 Its manufacture has also made use of the Autimag RT Pro paint gun. It weighs around 30lbs. It also boasts of having an automatic system to feed the paintballs with double Q pods. This gun is operated by gas and has the capacity of giving out huge volumes of effectual fire. 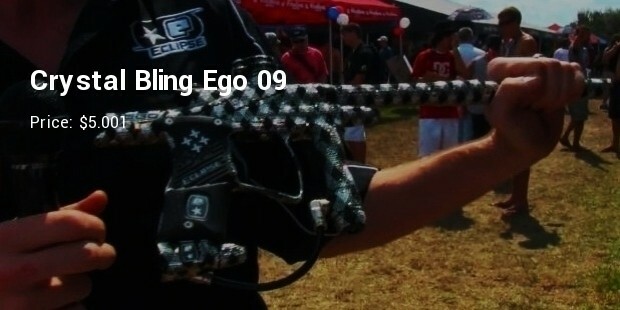 The individual paintball machine gun can also act as a realistic trainer. 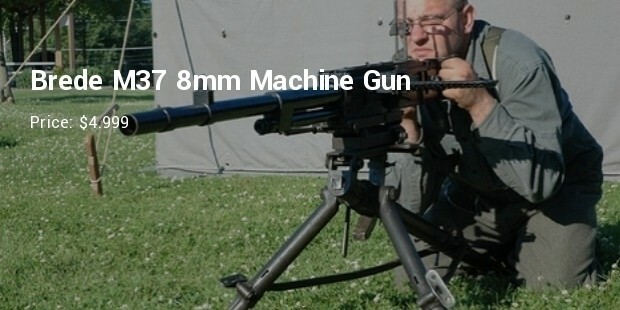 This gun is an imitation of the M60 machine gun used in Vietnam by the U.S. army. 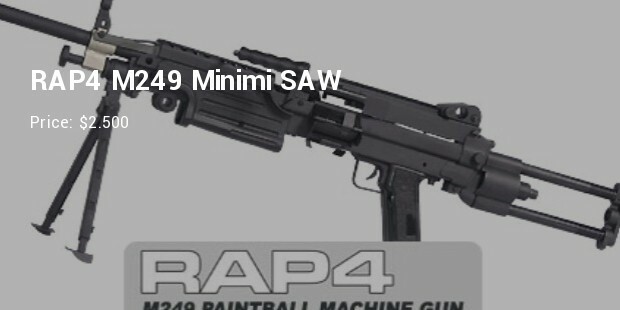 A really powerful paintball gun, it has the power to eliminate a whole squad. 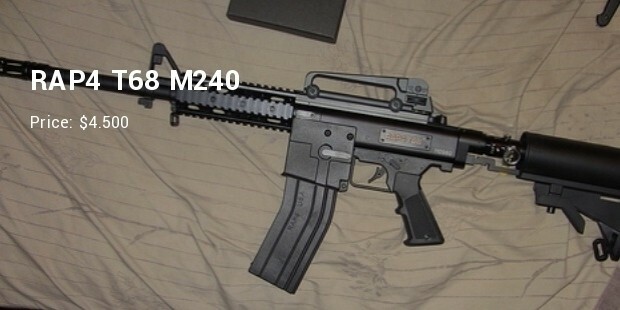 Some of its features include – red dot scope, grenade and magazines for more than 400 shots. It is operated on gas as well and is very light in weight. This gun has the capacity to fire 0.68 caliber paintballs by making the use of firing methods like burst, full auto and semi. 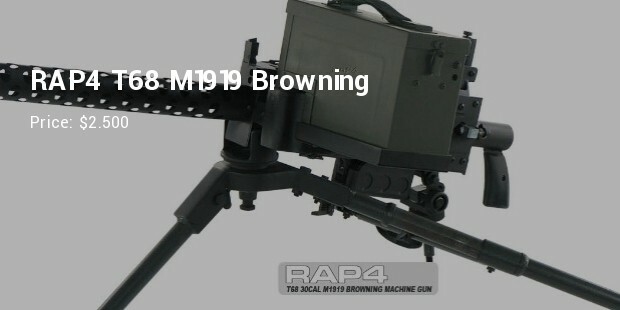 It weighs just 15lbs and has the qualities of all the metal guns. This paintball gun was used during World War II and Vietnam. Used popularly in aerial combat, it has good firepower and can dominate the field. It also has a .68 caliber full rock and roll. 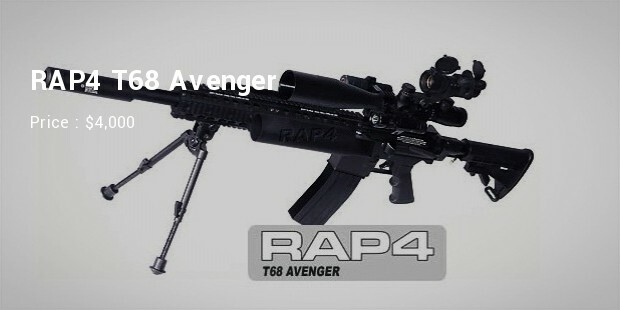 A copy of the M16 military rifles, this paintball gun - RAP4 T6 Chaos Genocide is very popular as it is expensive too. Features include full auto fire mode, .68 caliber eighteen round magazines, dual grenade launcher. All these features make the Gencodie more destructive. 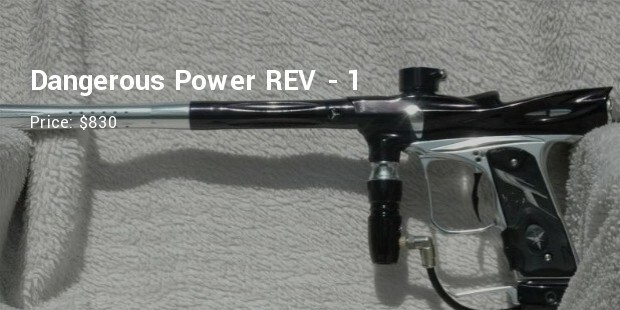 A compact and light paintball gun, it has some exciting features that users would surely love – OOPS, Battery, fully loaded with 14 barrel, all aluminium body, body integrated sleeve design, Zero-Kick Kit, reworked regulators and Viz eyes. A good paintball, it can fire 31 pellets in a second and has a muzzle velocity of 300 feet per second. 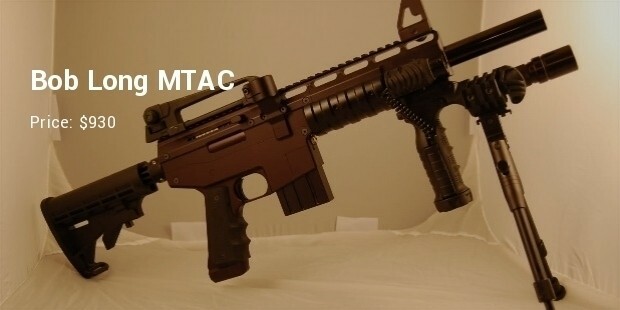 Though very expensive, these guns have a record of having sold 1000 pieces in just a week. Planet Eclipse is one of the most traditional guns in the most expensive guns category. It is available in a range of colours. Other features that the user will like are new prop shaft assembly, higher hand placement due to wider frame to reg spacing. 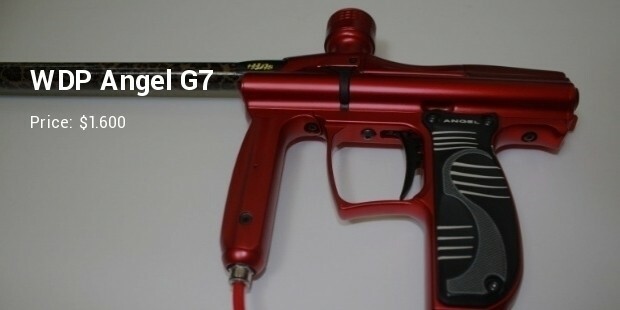 Like all planet editions this paintball gun is also traditional and also comes in a variety of colours. Some of its marked features are 16 bit technology processor, LCD screen, lightweight, and durable. Bob Long Marq Victory V2 is highly popular among users because of some of its unique features. It is available in an assortment of colours that the user can choose. You can shoot 2100 from the 68ci tank. Bob Long MTAC has a host of features which is customizable. There are many colours to choose from as well as upgradeable options. 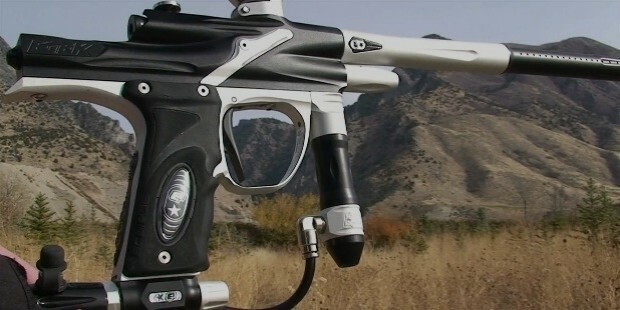 This paintball gun uses Marq technology which is rather unique. 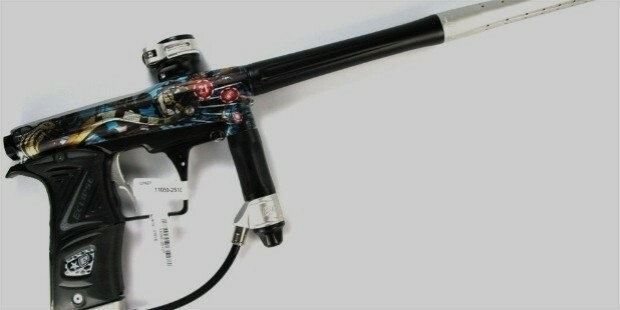 This is one of the paintball guns in traditional style in DP line. Some of its features includes – rear mounted pressure gauge, switchable trigger, and Ultra Sharp OLED Display. These paintball guns exhibit immense strength and long life as they are made up of unique materials. They comprise of extra ordinary features which may not be available in other cheaper guns. Thus investing in them would definitely help you in mastering this game.